At Review of Banggood digital clock kit I wrote some comments on the Banggood large screen digital clock kit. As noted, the supplied instructions are in Chinese, but a bit of searching turns up Chenglish instructions on the net (https://www.dropbox.com/s/fb68yokgwvfx7ye/SKU142210%20instruction.pdf). 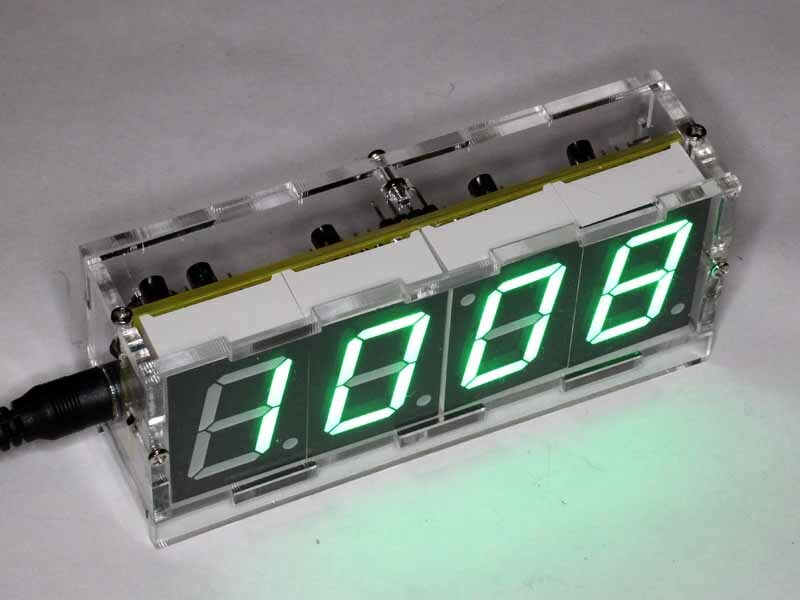 The Banggood large screen digital clock kit is an inexpensive kit (A$13 inc case and post). 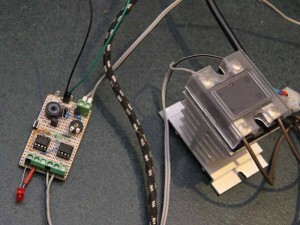 The clock uses a DS1302 clock chip and microcontroller for display. The microcontroller is a STC15F204EA, a Chinese 8051 microcontroller. Peter, VK3YE, describes a small transmitting loop (STL) in his video at https://www.youtube.com/watch?v=Cv_RnLpZ9gw. 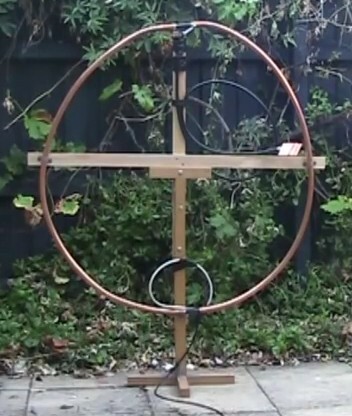 As far as I can glean from the video, it is made from a 3m length of copper tube 19mm diameter, and uses about 1.8m of RG213 to tune it, and appears to have its centre 0.7m above ‘ground’ . 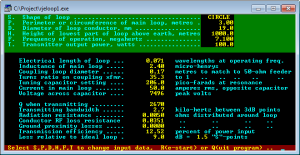 Let us firstly look at a free space model of the antenna using Reg Edwards’ RJELoop1 tool. 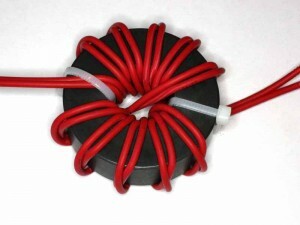 A lost soul searching for enlightenment on impedance transformation sought advice on a transformer at 2.4 : 1 BALUN. Assuming your quad is a single-band HF antenna, a conventional transformer using #2 powdered iron would be my choice for the balun function. 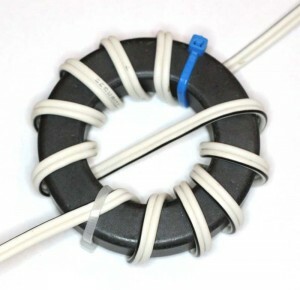 The reactance of the secondary winding would need to be at least 600 ohms. So, let’s put the forum expert’s advice to a practical test. 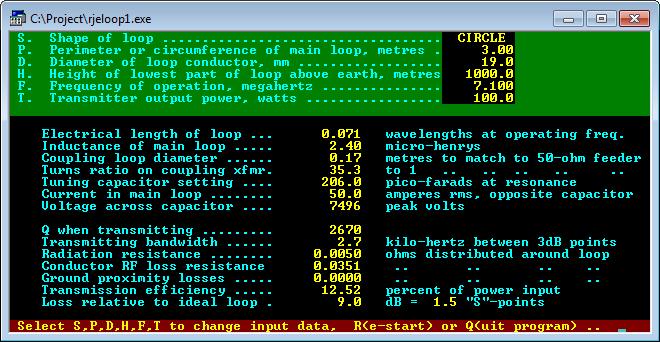 I have at hand a T200-2 core, so lets calculate the secondary turns to satisfy the proposed solution. The Neosid 28-053-31 ferrite toroid is used in my HF Balun Project. This article reports some thermal measurements and analysis made in relation to the project some years ago, but possibly of interest. 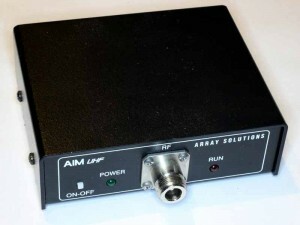 We often see statements by hams where they draw inference from observed temperature rise of a ferrite core at RF. Lets consider the following statement. 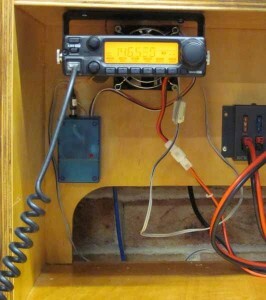 The FT-240-43 balun MUST be quite efficient as it barely increased in temperature over a 5 minute over at 100W on SSB. I mentioned at A walk through of a practical application of AIMuhf/AIM900 that I wasn’t all together happy with feed point R at resonance, at 40Ω it was perhaps a touch high for a 2m quarter wave ground plane on a largish vehicle roof.